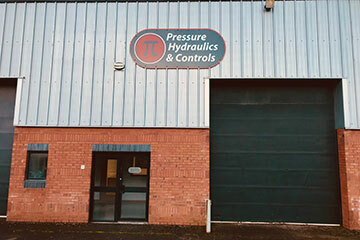 Pressure Hydraulics & Controls design and manufacture custom made hydraulic solutions to our customers’ requirements. From multiple 0.25kW power packs for the OEM market to 250kW once off turnkey projects we consider ourselves the engineering partner for our customers. Our systems have been installed in all areas of industry from agriculture to pharmaceutical, marine to plastic processing, mining to water treatment, etc. 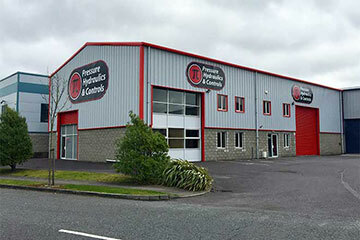 We incorporate only the most efficient and modern fluid technologies available. Control System (Valves, Control Block). Filtration & Oil Condition Monitoring. Hardware & Software For Activation. 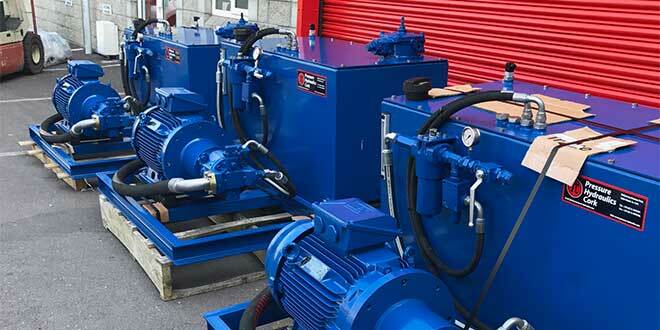 Pressure Hydraulics & Controls can offer a power pack for every application. 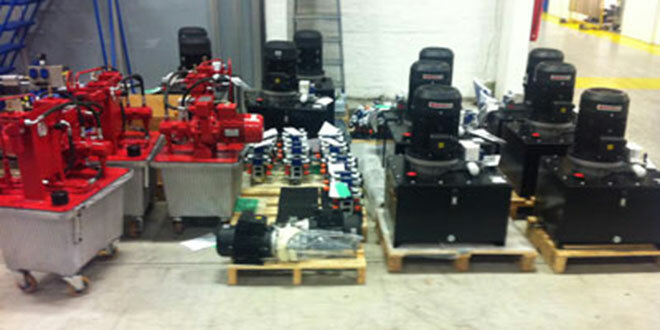 Standard, compact & custom power units are available. The conventional units are built using a standard range of hydraulic components for easy specification, assembly & maintenance. 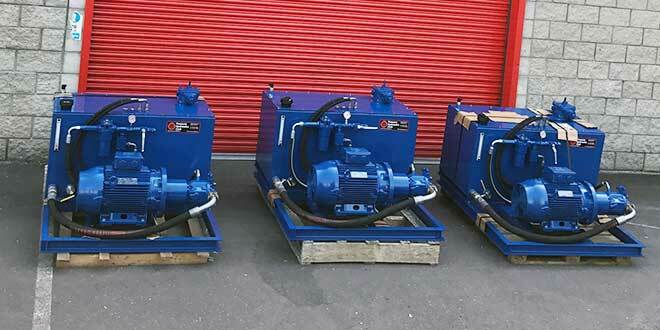 With electric motors up to 37kW and flow rates up to 200 litres per minute we can offer a standard power pack to meet most industrial requirements. Compact power packs from Pressure Hydraulics & Controls are built using modular components and range in size from 0.25kW to 4kW. All components are normally ex-stock and these packs can usually be built in 1-2 days. The custom power pack is built to our customers exacting requirements and are used in a variety of application across industry. There is no size limit to what we can offer with this type of unit. The modular power packs offered by Pressure Hydraulics & Controls are constructed using a standard range of modular components and range in size from 0.25kW to 4kW and can be built with either AC or DC motors. With flow rates up to 22 litres per minutes these power packs can easily fit the requirements of industrial and mobile applications. They can be assembled in thousands of different configurations using a limited set of standard components. 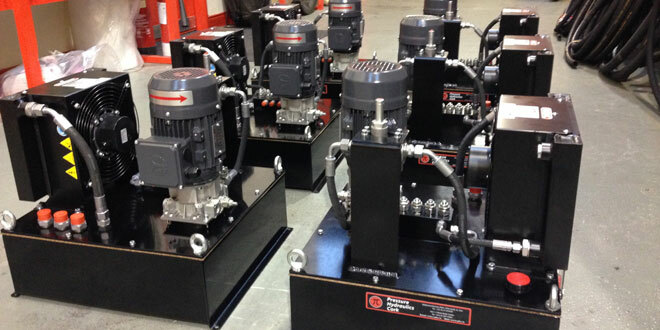 Pressure Hydraulics & Controls is a power pack manufacturer with a growing OEM customer base. We have the expertise & knowledge to be able to offer first class solutions to our customers in areas such as dock levellers, cranes, water treatment & balers. We are a totally customer driven company, serving our customers with their precise requirements on a ‘Just In Time’ basis. 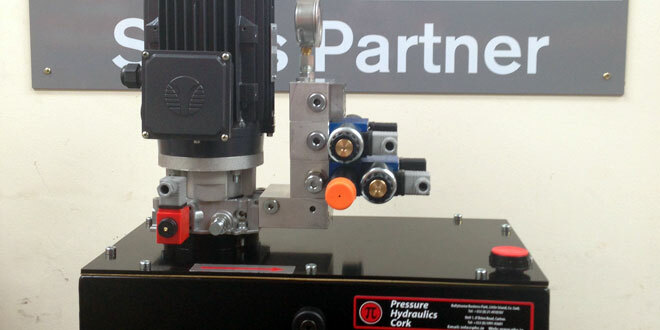 As an experienced manufacturer of hydraulic power packs, we understand the need to maintain close contact with our clients and we’ll ensure that you only get the highest quality products delivered on time and within budget. 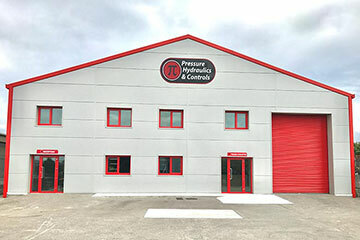 Pressure Hydraulics & Controls have been involved in some interesting turnkey projects proving that no job is either too big or too complicated for us to handle. 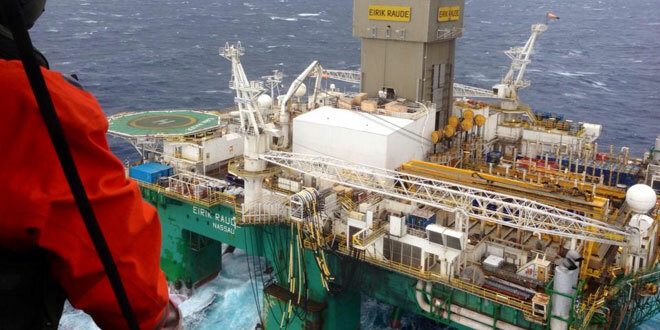 We have been involved in the restoration of the Birr telescope, the Ro-Ro ramps in both Rosslare and Dublin ports, the Eastlink Bridge installation and the truck unloading systems in both the Masonite and Medite chipboard factories to name a few.